In his first policy speech since becoming the Republican vice presidential nominee, Paul Ryan said he and Mitt Romney will restore upward mobility and fight poverty in part by limiting the federal government’s commitment to safety net programs. Ryan noted that Americans born into poor families are more likely to stay poor as adults than Americans born into wealthy families. 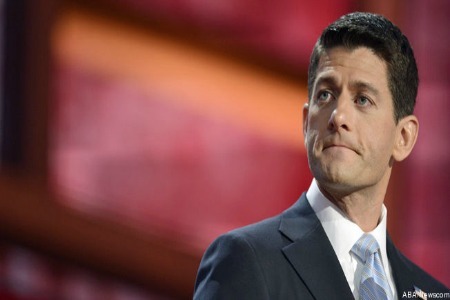 A Romney administration, Ryan said, would help restore mobility by turning the open-ended commitments of federal anti-poverty programs into “block grants” — fixed chunks of money the federal government sends to states each year regardless of the amount of need. States, in turn, get more leeway to design their own programs. As a congressman, Ryan has authored several proposals to slash spending on programs for poor people by turning them into block grants. According to an analysis by the centrist Urban Institute, Ryan’s proposal to repeal health care reform and block grant Medicaid, which provides health insurance to people below near-poverty income levels, would reduce federal spending by $1.7 trillion and Medicaid enrollment by 50 percent, resulting in a loss of insurance for 35.7 million Americans. Part of the problem with programs that haven’t received the block grant treatment, Ryan said, is that they perpetuate “government dependency.” But he also said government spending itself is a threat to people who rely on safety net programs for food and health care. Economists at the St. Louis Federal Reserve found in 2009 that increased government spending can have a limited negative effect on charitable donations, but also that growth in charitable giving had paralleled growth in government spending over the past 40 years.